My district is seriously looking into standards-based grading. I have dabbled in it and see both the value and the pitfalls. Interestingly, I wrote the article below in 2002, long before SBG came into vogue and before the Common Core started flirting with Performance Tasks. While Tiger may not be the top golfer in the world anymore, it speaks directly to my hopes and concerns. I invite some push back here from the SBG gurus. Earl Woods? Hello sir, thank you for coming to my classroom to speak with me about your son Tiger. Yes sir, I know that he appears to be doing well at home, but Mr. Woods, to be honest with you, Tiger is in danger of failing golf. Currently his grade is a C-. I can show you the grade breakdown if you like. Certainly. As you know, there are approximately two hundred professional golfers. Each is ranked in various skill categories. Your son, Tiger, ranks as follows. As you can see, Tiger does very well in most skill categories, but appears to perform poorly in two. Now, failing in two out of the eight leaves him with a score of 75%. There is a third category in which he is only slightly above average; therefore, he only gets partial credit. This diminishes his seventy-five percent to a 70%, and thus, he gets a C-. My concern is that if Tiger were to falter in any one of these eight categories, he would surely fail golf. However, there is plenty of room for him to improve in these problem areas. He has an excellent work ethic, so I am confident that with a little more effort, Tiger will succeed. Mr. Woods, thank you for your support in this matter. Can you imagine ever having this conversation regarding Tiger Wood’s ability as a golfer? How does the best golfer in the world get a near failing grade in golf? The answer is in the assessment. In other words, there supposedly are nine other golfers in the world better skilled than Tiger Woods. Being in the top five percent of all golfers in the overall skill category would certainly raise his grade in golf to at least a B, if not an A. However, he still does not rank as the top All-Around player in the world. If we change the assessment, though, Tiger fares much better. For instance, Tiger is the richest golfer in the world. He is number on in season earnings and is the all-time career money winner. His is also number one in the World Rankings. The World Rankings are based on how well a golfer finishes in tournament play in comparison with the strength of the field. In other words, how well does the golfer compete? 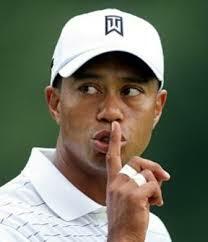 Tiger wins the most tournaments and wins the most money. 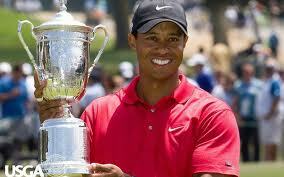 In my mind, and that of many others, that makes Tiger the bets golfer n the world. Yet, I am basing my opinion on his performance as a golfer rather than his skill as a golfer. Analyzing two other golfers can show the difference between the value of skill and that of performance. Do the names Cameron Beckman or John Huston ring a bell to you? No? Me, neither, and I am an avid golf fan. The reason that you do not know these names is that these two people are average golfers in the World Rankings. (They don’t win much.) Yet, they both outrank Tiger in the All-Around (2nd and 9th respectively). According to certain forms of assessment, Beckman and Huston are better than Tiger Woods. A more appropriate balance of skills, testing and performance assessment in our classes may send our most underachieving mathematicians to the head of the class. Imagine a small box with an American flag painted on each side. This represents the box in which we American teachers think about education … how we view the role of the teacher, the nature of the learner and the purpose of school. I say this, because ongoing international research studies show that teaching is a cultural phenomenon. We do not teach the way we were trained to teach; we teach the way we were taught. While there are differences among us American teachers, there are glaring commonalities that we uniquely share. The same can be said for our counterparts abroad. We could make a similar box and cover it with French flags and have a conversation about how French teachers think about education. We could do the same for the Japanese or any country for that matter. The issue is that while our education system has a few great things to share with world, for the most part, countries which outperform us in academic math tests do so because their box is far superior to ours. That lesson can be found in the Trends in International Mathematics and Science Study (TIMSS). In March of 1998, The Math Projects Journal was granted an interview with Dr. William Schmidt, the American Coordinator of TIMSS. He claims that among the top-performing countries in mathematics (no, the United States is not one of them) there is no common methodology, but there are common principles of instruction that all the top-performing countries share: teaching to conceptual understanding and teaching with mathematical substance. In his writings and public presentations he stresses two additional components: standards and accountability. 1) STANDARDS: Focus on a the limited number of topics that your students need to know; don’t just cover the textbook. 2) CONCEPTS: Teach students to understand what they are doing, not just to mimic what you are doing. 3) SUBSTANCE: Intellectually challenge students; raise your level of questioning. 4) ACCOUNTABILITY: Hold students to knowledge and performance expectations that go beyond grades and unit credit. The fifth principle comes from professional experience and opinion rather than research, and therefore, its emphasis is demoted to a half-principle. ½) RAPPORT: No philosophy, technique, methodology, instructional material or textbook can replace the student-teacher relationship. You must reach ‘em before you teach ‘em. First figure out why you want the students to learn the subject and what you want them to know, and the method will result more or less by common sense. I wanted to take care of the fellow who cannot be expected to learn most of the material in the lecture at all. I wanted there to be at least a central core or backbone of material which he could get…the central and most direct features. The best teaching can be done only when there is a direct individual relationship between a student and a good teacher — a situation in which the student discusses the ideas, thinks about the things, and talks about the things. It’s impossible to learn very much by simply sitting in a lecture, or even by simply doing problems that are assigned. So where is “the use of math projects” in the list? Math projects are not on the list, because in-and-of themselves they are not critical to quality math instruction. Projects are effective tools of instruction only when they embody these four and a half basic principles of teaching discussed herein — in particular, teaching to conceptual understanding and with mathematical substance. To gain further verification of the potential effectiveness of math projects, though, I once again call upon Dr. Feynman. I think one way we could help the students more would be by putting more hard work into developing a set of problems which would elucidate some of the ideas in the lectures. Problems give a good opportunity to fill out the material of the lectures and make more realistic, more complete, and more settled in the mind the ideas that have been exposed. Thank you, Dr. Feynman, for the encouragement to keep creating and implementing quality math lessons and problems, and to persist in developing good student-teacher relationships. Thank you, Dr. Schmidt, for revealing to us the value in teaching to conceptual understanding and with mathematical substance, and for pressing us to see the need for standards and accountability. May we all keep in mind the most important lesson offered by these studies: The greatest determining factor in the quality of the education that a student receives is the decisions that a teacher makes on a daily basis! © 2014 The Math Projects Journal. All rights reserved. © 2014 The Math Projects Journal.